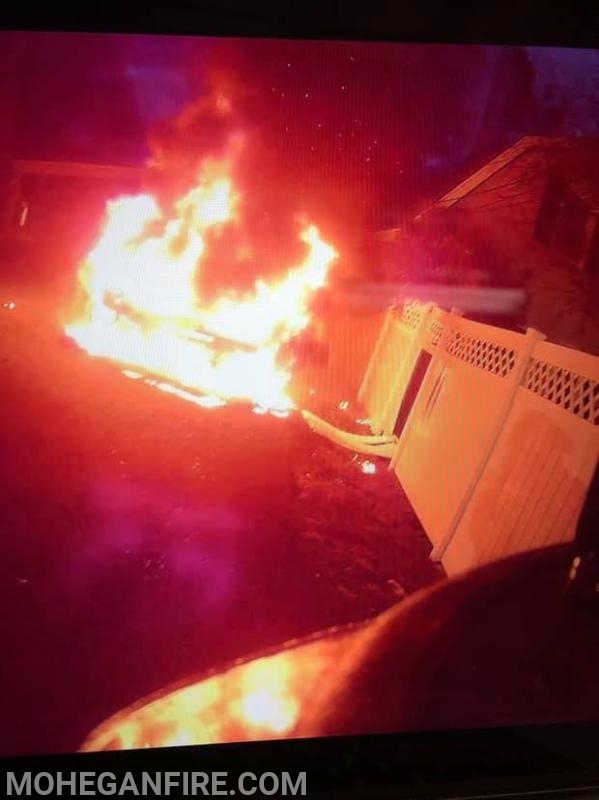 At approximately 6:45am this morning Tues 3/12/19, Mohegan FD was dispatched to Elm St in Cortlandt for a reported motor vehicle fire in close proximity to the structure. Upon arrival, units found a well involved motor vehicle fire with extension to a near by ence. The fire was quickly knocked down and extensive overhaul was performed. All units cleared by 7:30am. Units operating on scene were Car 2261, 2262, 2269, Engine 256, Engine 258, Ladder 35, and Rescue 32. Units: Car 2261, 2262, 2269, Engine 256, Engine 258, Ladder 35, and Rescue 32.